Sorry I meant a better drawing to illustrate what I'm blathering on about. It looks like M&G chose to draw the curved block as two straight lines. From the best resolution I can find. It may be a fee hand or flexicurve curve, Hard to tell with the pixilation. Your photo is more indicative of a curve, or a flat going into a curve. North to south. 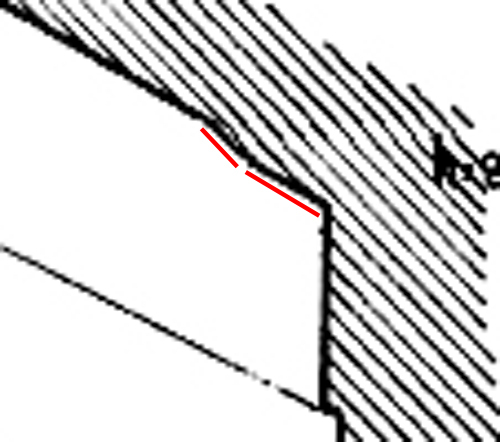 I had the same problem with the possible curve at the apex of the QC niche. Why are there so few decent images of this thing published? Edited 1 time(s). Last edit at 20-Dec-16 17:42 by Jon Ellison.